Tradition Can be a New Innovation Killer! 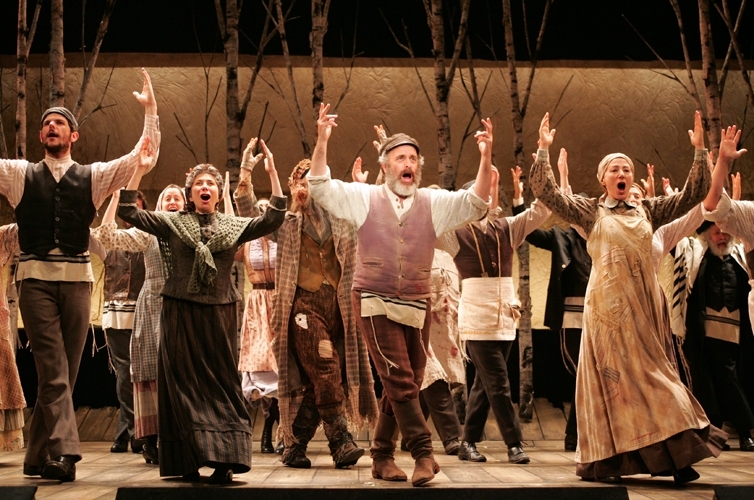 "Tradition" is the opening number of the classic Broadway musical, Fiddler on the Roof, about villagers trying to continue their past customs as the world around them changes. Webster's defines it as an inherited, established, or customary pattern of thought, action, or behavior. But tradition, while it tries to emphasize the past, often suppresses the future. Entrepreneurs are constantly faced with issues of tradition that can or will impact their business at almost any stage of its evolution. But far too often, tradition can be a new innovation killer! Because it can stifle imagination, limit creativity and discourage change and risk-taking, all crucial to ultimate entrepreneurial success. In effect, it often takes "what can be" and reduces it to "what has worked;" transforms "why are we doing this?," to "keep your head down and don't ask questions." New Innovation Killer - "It can't be done!" Lots of folks will tell you. Don't listen! Being an entrepreneur means you often have to "go against the grain," and that's never comfortable. You'll always have more critics than advocates. Keep the courage of your convictions. Don't let tradition or traditionalists kill your innovative vision for your business model or your business growth. My Dad was from the "greatest generation." His favorite poet from that generation, was Edgar A. Guest, a simple guy, with simple messages, more like Garrison Keillor than Robert Frost. He wrote a poem that was my father's favorite called "It Couldn't Be Done." It's a little campy, but something no entrepreneur should be without. Read it and keep it handy! It helped my Dad and me in our entrepreneurial endeavors. New Innovation Stimulation - Think different. The tagline of one of the greatest ad campaigns of the last 40 years came from Steve Jobs and Apple, tweaking the then market leader, IBM, who had used "Think" as its motto for nearly 75 years. And think different he and they did, driving the personal computer to the forefront of computing in the 80s and then again with the iPhone in intelligent devices in the 00s. Steve Jobs made us think different. And there are other examples of folks who think different. Bill James, who has, basically, changed the way baseball, a game steeped in tradition is viewed and played with his development of sabermetrics, using analytics to replace subjective judgment. Chip Kelly, head coach of the Philadelphia Eagles, who challenged the establishment of Division I College Football at the University of Oregon and then defied the tradition in the NFL with everything from the breakneck pace of his offense, how his teams practice, right down to how players sleep and eat. Technology, sports, no matter, if you think different, you can't help but stimulate innovation and a new vision. Innovation Aversion - the older the tradition the deeper the roots. I had a client whose octogenarian founder was still active more than 25 years after starting his manufacturing company. Over that time, the company had some good success, but he fought every attempt (including mine) to change or innovate the heavy manual processes that involved multiple individuals touching the same part multiple times in building a product. Fighting innovation finally had its effect. Last year, the company lost money for the first time in its history and is well on its way to repeating that this year. The aforementioned Bill James had to wait nearly 30 years before his concepts even found followers, let alone advocates, in baseball. Yet in the last 10 years, big data has been embraced by, virtually, every major league team. And teams that don't are finding themselves losing way more than they are winning. Long-time traditions are hard to change, especially when they have been successful in the past. As I have previously noted, you can't grow without change. Innovation Rigor Mortis - beware when your own people tell you "that's the way we've always done it." Then you'll know, your small business is operating out of its rear view mirror, focused on history. You need to change that before you become history. Status quo is the enemy of growth and change is the catalyst. Continue to ask hard questions, especially "why." Like "why are we still doing this?" Encourage your staff to take risks and offer new and innovative ways to do things you've been doing for some time. Never stand still. Tradition is all around us. You should learn from it, build on it, but not let it kill your vision of what can be. Because that is what being an entrepreneur is all about. Don't let tradition be your new innovation-killer! Have you overcome or changed a tradition in your business or your market? Please share your thoughts in your comments. It can help another entrepreneur.